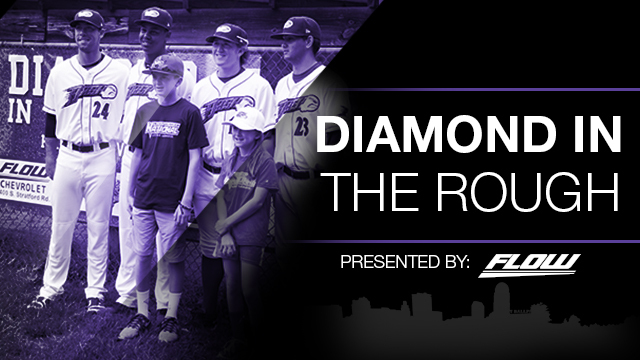 WINSTON-SALEM, N.C. (Sept. 13, 2016) - The Winston-Salem Dash and Flow Chevrolet have announced that Northwest Forsyth American Little League (NWFALL) has won the 2016 Diamond in the Rough Ballpark Renovation program. Therefore, NWFALL's field will receive a Major League makeover this fall. The Diamond in the Rough Ballpark Renovation contest, which ran throughout the month of July, invited area Little Leagues and softball leagues to submit videos to the Dash on social media to show why their field is in need and deserving of a makeover. NWFALL's submission emerged victorious from a group of impressive finalists. This marks NWFALL's 52nd year of operation, and more than 400 players participated in spring activities in 2016. The little league added a Challenger Division for children with physical or mental challenges this season. NWFALL also hosts several district and state tournaments in baseball and softball. "NWFALL is thrilled to be the recipient of the Diamond in the Rough renovation," said Chris Swink, President of NWFALL. "The renovations and upgrades so generously provided by Flow Chevrolet and the Dash will have a big impact on all of our players. We want to thank both Flow Chevrolet and the Dash for their support of Little League Baseball in our community." The Flow Chevrolet Diamond in the Rough Ballpark Renovation program will be transforming its third facility. Last year's winner was Winston-Salem National Little League, while South Little League was the inaugural recipient in 2014. The program follows similar baseball and softball field renovation programs that exist in both Major League Baseball and Minor League Baseball.